Outdoor Bar Services | mobile licensed bar | pimms van | any venue | East Lothian near Edinburgh. 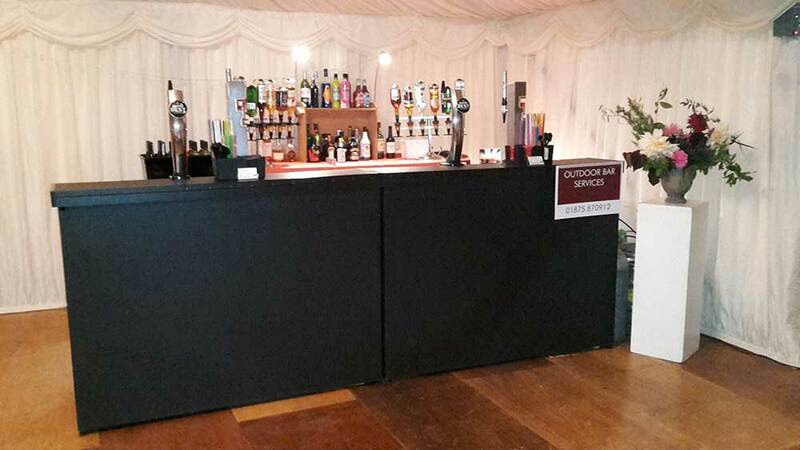 Outdoor Bar Services provide mobile bars covering Edinburgh, Lothians, Fife and the Borders. We have been doing mobile bars for over 15 years so you can imagine that we have done most types of events. Our bars are fully mobile and the bar sizes are customized to fit into any size of venue from village halls to large marquees and farm buildings. From wedding receptions to black tie corporate functions, from birthday parties to large indoor or outdoor events. We can provide the bar, the drink, the staff and outside catering. Venue size is not a problem. From Village Halls to Marquees to Farm Sheds, Outdoor Bar Services will meet your requirements. We can now also supply a Pimms Tent. Outdoor Bar Services are also available to help with your charity events. Whether it is a Ceilidh, Race Night or Disco we will donate a percentage of our takings to the charity..
Should an Occasional Licence be required for any event then we will apply for that as well.